If you are a passionate golf player as well as a nature lover, a golf holiday in the Eifel is highly recommended. In a lovely natural environment with rolling hills, dense forests and wide meadows, you'll be teeing off in harmony with nature. A cooperation between 4 golf clubs with their 75 holes offers beginners and experts a diverse range of games at various levels of difficulty. With our attractive golf packages you also have the opportunity to combine golf and wellness in a convenient way. These packages include green fees as well as accommodation and relaxation at the Hotel Augustiner Kloster. As part of our golf packages, you can relax in the wellness section of the Hotel Augustiner Kloster, which is centrally located between the four cooperating golf courses. 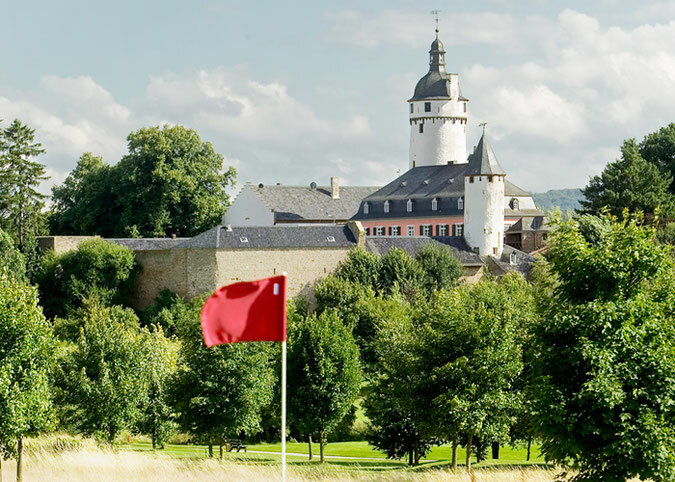 In order to set out the attractive golf offer of the volcanic Eifel clearly, we have created an exclusive golfing page "Golfing in the Eifel". Here you will find pictures and information such as location, requirements and directions for the 4 quality golf courses with which we cooperate, as well as our current golf packages.